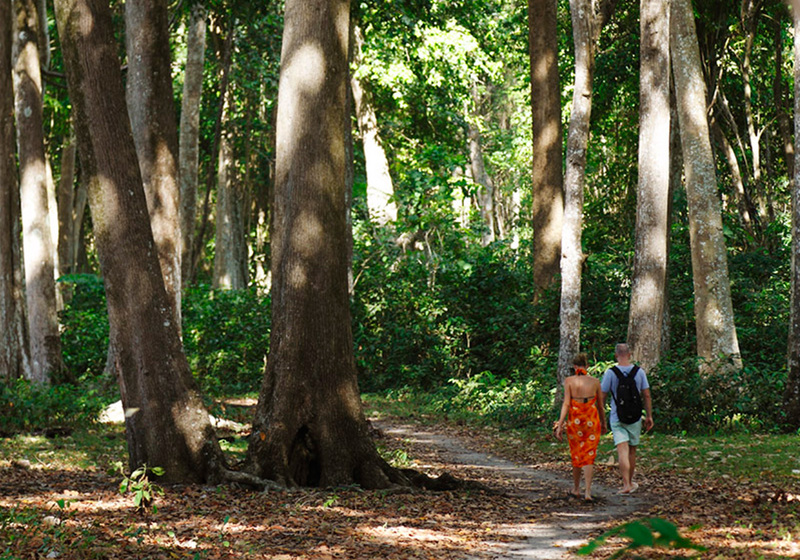 Havelock Island welcomes you with its spectacular white sandy beaches and alluring sunsets. Abuzz with activity, this is the place to be! 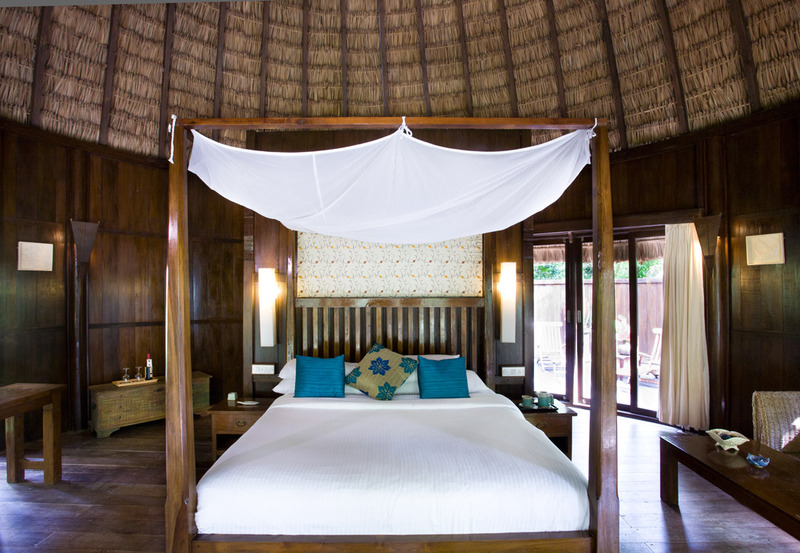 From snorkeling to scuba diving, to quiet romantic evenings by the sea and an array of beach side resorts to choose from, the Havelock experience is one not be missed. With Barefoot Holidays, you can choose the resort best suited to your requirements, based on your budget and expectations. We have short listed the best hotels in each category and offer the same for your stay. We request all guest to kindly read our terms and conditions in detail prior to booking their holiday through Barefoot Holidays. Do feel free to contact our booking office for any queries or clarification. 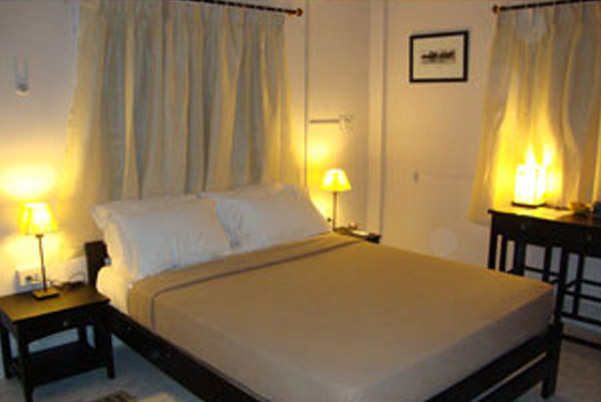 We request you to kindly note that Port Blair and Havelock are small towns and their hotels do not necessarily match up to the service standards and room quality in similarly priced ones in larger cities or towns in mainland India. Most hotels depend on the local community for staff and we hope that you will appreciate their efforts to hire the locals. Not all staff will have the fluency of English that one would expect in other city based hotels across India. They however are always happy to help and are cordial and warm. As we do not manage and run these hotels, we have no control over guest experiences in these properties beyond providing a confirmed reservation. 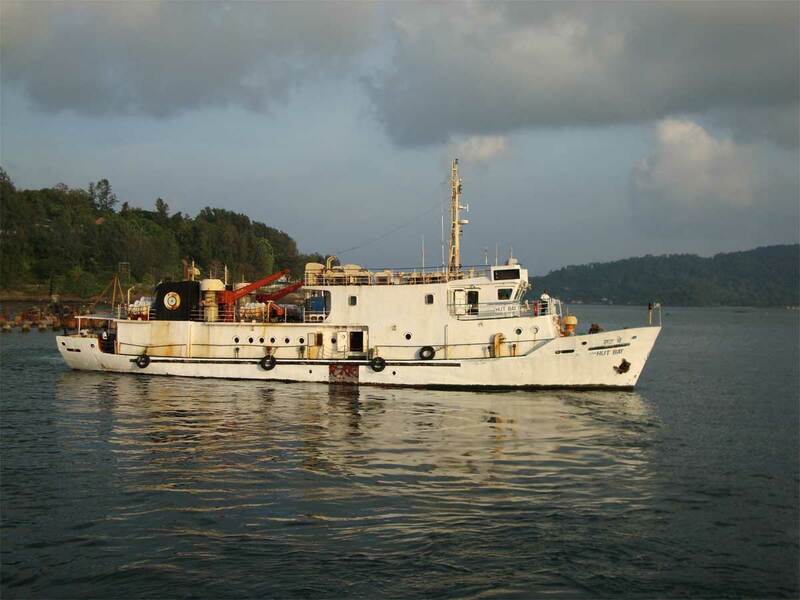 Port Blair, the capital city of the Andaman & Nicobar Islands offers travellers a wide range of hotels to choose from. With Barefoot Holidays, you can choose the hotel best suited to your requirements, based on your budget and expectations. 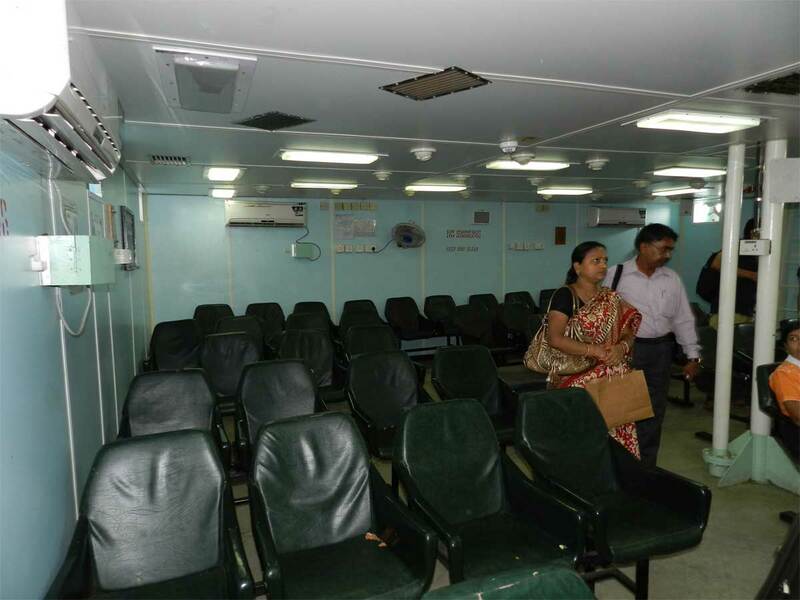 You can expect reliable and frank advice from our experts which could make all the difference to your stay in Port Blair. Based on the valuable feedback from our clients we review and rate each hotel and recommend stay options based on these ratings. May we request all guest to kindly read our terms and conditions in detail prior to booking their holiday through Barefoot Holidays. Do feel free to contact our booking office for any queries or clarification. 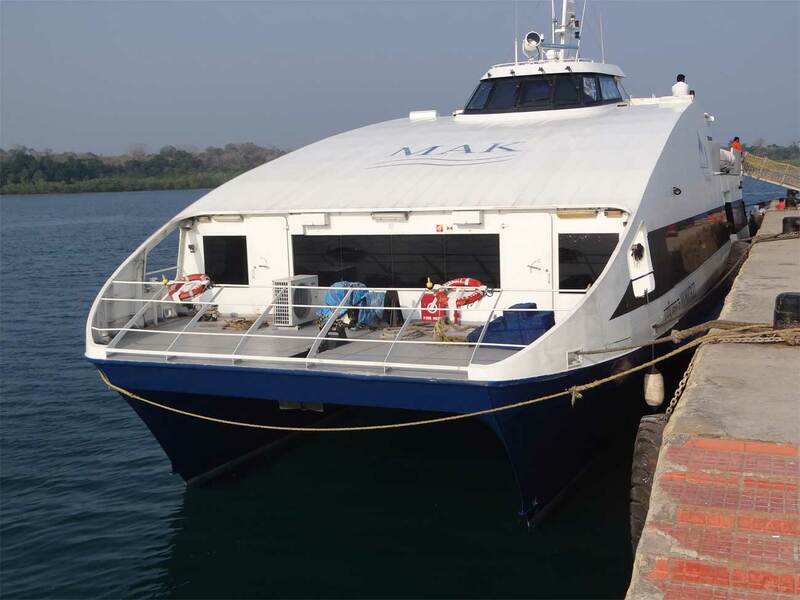 Ferry Transfers between Port Blair and Havelock Island are offered by both Government operated ferries and private players. 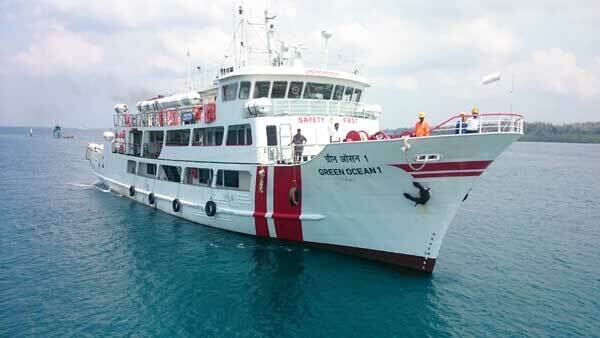 This is the only way to reach the Havelock Island. The trip timings may vary based on the weather. Barefoot is not responsible for any change/ cancellation in boat operation timing. 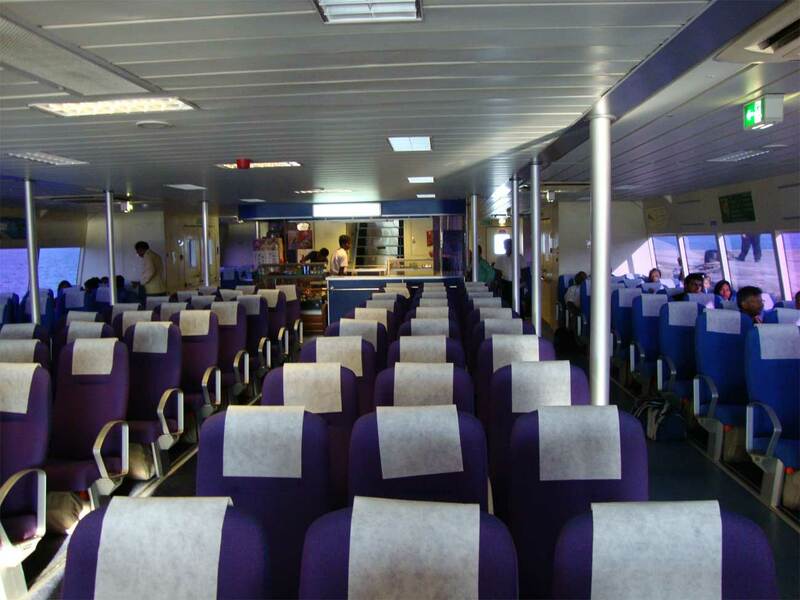 By default we book base category in all ferries. Kindly ask for supplement amount for higher categories. Above time is only indicative and may vary on weather conditions. Second sailing for private ferry where indicated is subject to load factor. 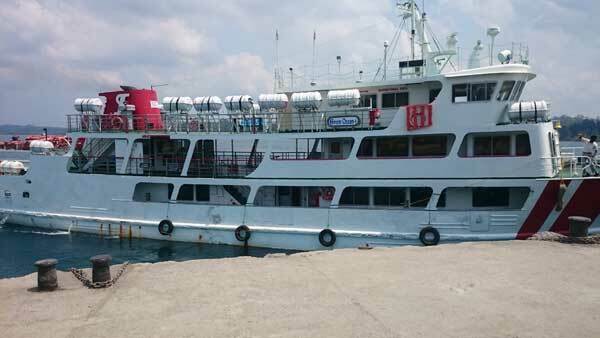 Barefoot holidays is not liable for any change in itinerary due to change in ferry timings. Schedules are subject to change and barefoot has no liability for the same. Double Sailing on Thursdays : No information yet. Seafood rules on the Andaman Islands, due to it being the natural diet of the Bengali settlers, who came to the Andamans. Crabs, shrimp, lobster and fish are available at almost all restaurants. However, don’t expect seafood to be inexpensive just because we’re surrounded by the sea! 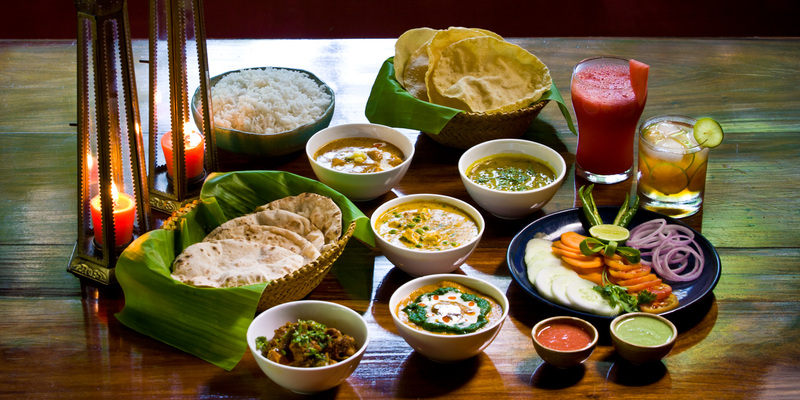 Seafood is a favorite of foodies at Andamans and for a fair price, our chefs make sure you don’t leave disappointed. You will see more activity in a minute while scuba diving in the Andamans than you can see in a whole day on safari in Africa. There is no better adrenaline high and given the untouched, pristine coral reefs in the Andamans, it is no surprise that diving has become the most popular activity here. It is simple, takes just half a day and is so much fun. The minimum age is 10 yrs, so bring your kids along and let them experience diving as well. 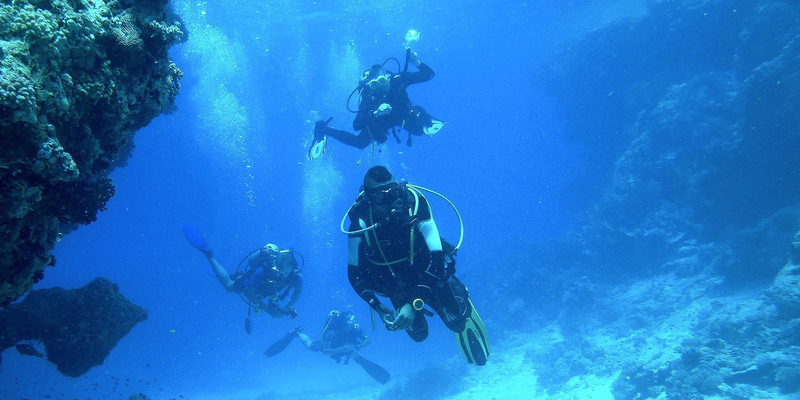 The Discover Scuba Program includes a little basic theory, a few exercises in shallow water and one dive to a maximum of 12 metres with an experienced instructor. You can take the ‘Discover Scuba Program’ in English, French, Spanish, German, Swedish, Danish, Norwegian, Dutch, Hindi, Tamil, Bahasa Indonesia and more. Be assured of a professional dive organization, experienced instructors, an impeccable safety record and well maintained equipment. Barefoot Holidays works together with Barefoot Scuba to offer you the opportunity to Try Diving, Learn Diving or go Fun Diving with the best! Barefoot Scuba is the first and only 5 Star PADI Instructor Development Facility in the Andamans and firmly believes that quality matters! Here, you can expect professionalism that comes from years of experience, an impeccable safety record, multilingual instructors, well maintained state of the art diving equipment and staff that are friendly, eager to help and have outstanding credentials. Shimmering gates of colourful healthy coral and a mind boggling variety of marine life both large and small make the placid blue waters of the emerald isles ideal for the activity of snorkeling. Easy to learn, snorkeling is an activity that will thrill you and leave you asking for more. It’s an unbelievable world simply waiting to be explored. The Andaman Islands form a breathtakingly beautiful and relatively untouched archipelago situated by the Andaman Sea in the Bay of Bengal. Only 36 of 572 islands are inhabited, leaving 86% of the landmass under protected forest cover. Tropical rainforests abound in rare and endemic species of flora and fauna. 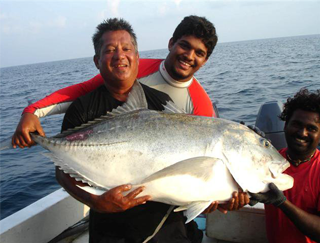 With no commercial fishing allowed the reefs are virtually untouched, giving the fish a chance to grow to colossal sizes. Dive with Enriched Air (Nitrox) if qualified for Rs. 400 extra per cylinder. Discounts: We offer 10% discount to professional divers in current status, 10% discount for use of own equipment (full set), 10% discount for groups (4 or more people) and 10% discount if for additional dives to current Barefoot Scuba students. If eligible under 2 or more discount categories, the maximum discount given is 15%. Night dives are not included in dive packages. All course prices above include all certification charges to PADI, equipment rental and books/slates/training materials that the student is required to purchase. 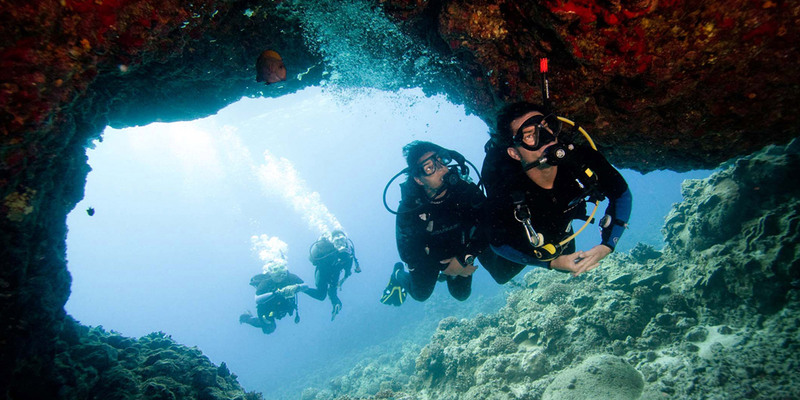 Certification charges on above Professional pages are not included and are to be paid by the student directly to PADI. Certification charges to PADI on DM, AI, EFRI courses included in any of these combos are to be paid additionally and separately by the client, equipment rental and books/slates/training materials the student is required to purchase. Minimum participants for speedboat is 5 and maximum is 6 pax. 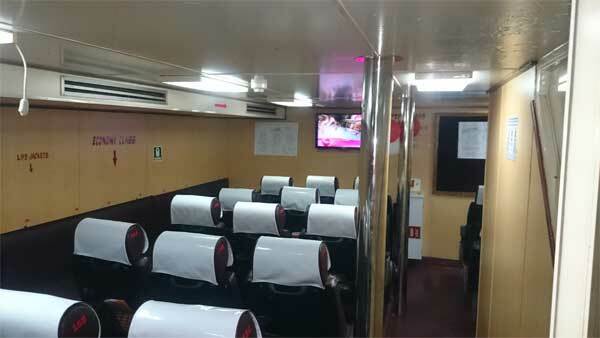 Minimum for excursion boat is 6 participants. Barefoot Holidays believes in delivering a product that is a class apart. We specialize in organising unique conferences amid environs that are equally unique. 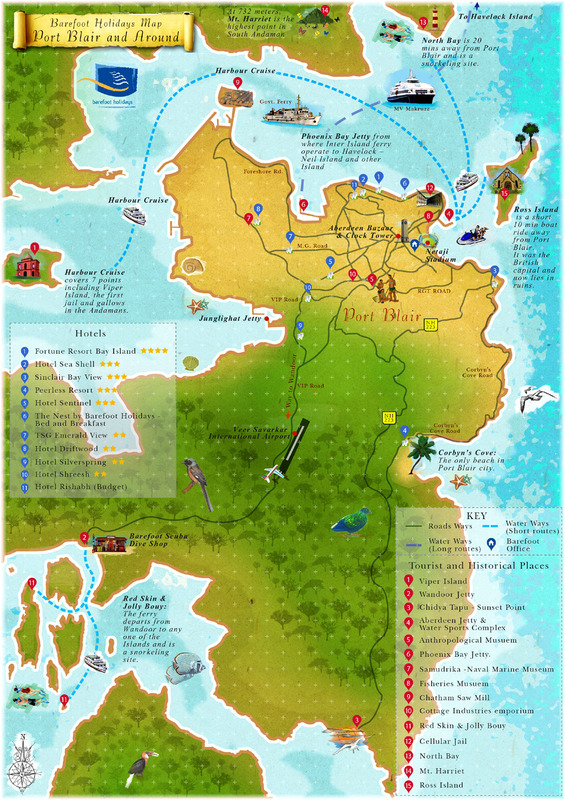 We are proud to announce that Barefoot Holidays has also been featured in the September 2011 edition of “MICE TALK” as leaders of MICE in Andamans www.micetalk.com (pages 38 – 41). Excellent arrangement by Karthick and team. All services were on time and as assured. Diving was the highlight of the trip. Thanks and see you again. Excellent services and care taken by the team. Small details like tea and pakoda when least expected, cold juice, namkeen packets were a very kind gesture. We are glad that we chose them to organise the important meet. We wish them all the very best. 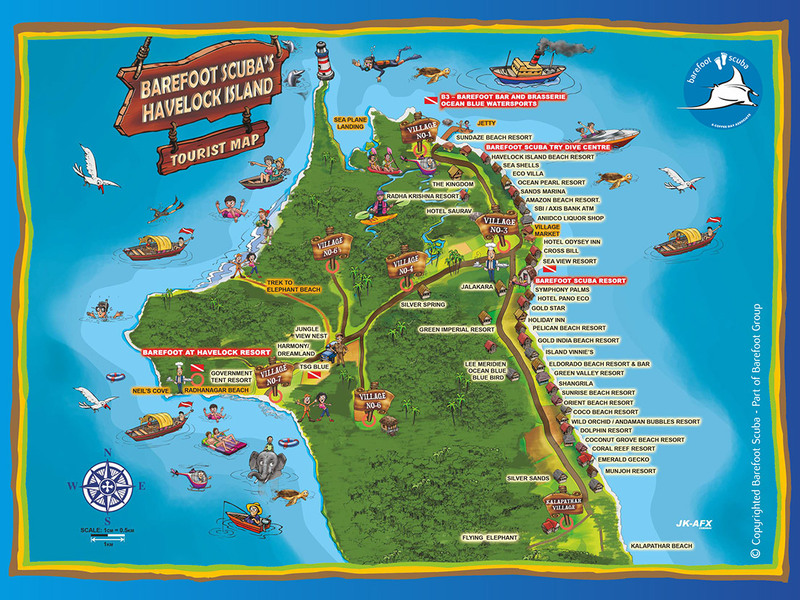 Guides are good and courteous helping nature and careful made their activities- Port Blair stay and Havelock stay was good. Excellent time we spent. Amazing in a short few words. We were meeting after so many years and are glad we chose Andaman as the perfect venue. Barefoot were perfect hosts and from the cars to tour managers all were exceptional. From cold water, wet tissue, haldiram snacks during tours they took care of everything. Will recommend barefoot to anyone with pleasure planning a trip to Andamans. Inspite of bad weather and us not being able to visit Havelock Island the Barefoot team arranged alternatives and went out of there way to ensure we were comfortable. I also understand that inspite of being under high pressure due to the unique situation they handled the situation wonderfully. Marshal who was with us from morning till evening did a fabulous job. Marshal is a rock star! Shall come back soon and hopefully weather will be better next time! What a amazing trip, just like our last batch. Can't thank you guys enough. In one word you ROCK. At the outset let me thank you for the outstanding hospitality extended to us by your team in Port Blair. You & your team have redefined Customer Service – absolutely feeling a sense of WOW when we interacted with them… I am running short of words to put the experience into few sentence. Just to sum it up, It was simply marvelous. Dear sushil, thanks for sending lovely memories of Andaman. Let me put on record the excellent personal behavior of yourself and your associates from barefoot travels -we never felt that we were with a travel agency. You would recall our very open discussions and demands from you in the trip. I have been with many groups in the past to various places in India and outside India. I would like you to keep up your very personal touch with the group you take for trips. I would very highly recommend your Sparsh for anyone who wants a happy tour. Thanks again and God give you all the success. Everything was perfect. It was a short 02 night trip but loved it, something very different. Big thanks to the entire Barefoot Team who went that extra distance to make a memorable holiday for us. We will be back soon with our families. This is exactly what the doctor had ordered a getaway to a paradise which we thought did not exist. Thanks to the Barefoot Team for such a seamless itinerary and detailed planning, made all the difference, the small gestures were very touching like wet tissue on arrival, cold ice cream when you least expect it. Thanks to Karthick and the entire dive team who gave us a trip of a life time! K Law. Krishnamurthy & Co. This trip has been a life changing experience for my team and me. Your boundless energy, support and assistance – not to forget your patient and cheerful demeanor - made it all the more memorable for us. It was just spectacular - Thanks a lot to Barefoot and its team. This is a true paradise and we will be back soon. Let me thank you for all your help and hospitality you provided us during my visit to Andaman along with IMA group. This has been the most memorable on-tour experience and we look forward for a long term association even in MICE division. Barefoot Holidays made our corporate outing a once in a lifetime experience. Akshay, Karthick, Rohan, Sean and everyone at Barefoot - Thank You. Teezle Team had a wonderful 5 days at Andaman, we experienced nature in a way we never imagined. You have to experience it to believe it. Dear Akshay, I thank you for your efforts you put in through Barefoot Holidays to coordinate with us for the production of our film KADAL (Tamil) at Andaman and Nicobar Islands during the month of July 2012. I acknowledge your excellent service, be it in location scouting coordination, permission requisition, accommodation and catering services or overall logistics management, it is my pleasure to know you and recommend you. This trip was the most perfect holiday... actually the best rejuvenating experience I have had..and I want to go back again and again...surely getting my son when he can do the diving...so much more to explore in the underwater world...it was amazing. Andamans is about experiencing NATURE...and only Barefoot knows the best way...right from the hotels to the food and hospitality...the adventures...everything was planned so well....my job made easy! Thanks. We had a excellent time and our guide was very courteous and with good manners. He had excellent knowledge about Andamans and it made the trip very complete. We wish you all the very best. I would like to thank you for the constant ensuring of our wellbeing and comfort, for the little gestures which made us feel truly special and made our Andaman experience one we will always cherish! I assure you that we will surely visit the Andamans in the future and pass on the positive experience to the other teams in GSK as well. Thank you Akshay once again! It was very well organized, special thanks to Karthik and Rohan. They went out of their way to make sure that we were comfortable. Everyone had a great time. Small gestures like a lime juice on arrival at dock after a tiring ferry journey, or arranging to transport our bags to the ferry were nice touches. In general, we were very happy with the trip. We had a excellent time and our guide was very courteous and with good manners. He had excellent knowledge about Andamans and it made the trip very complete.We wish you all the very best. Dear Akshay, On behalf of the entire team from IBM and Idea, thank you very much for excellent experience we had with Barefoot Holidays. You personally and the team from Barefoot ensured that we had a trip to remember. Please do convey our thanks to Karthik and the entire team who helped out. Dear Karthik, The IFMR Capital team would like to thank you for your arrangements in Andaman and for always being around during our stay there. It was a very pleasant experience for all of us. The planning and arrangements were excellent. So was the food and the fun activities organized by you. We appreciate. Hi Akshay, We are doing good. Trip was wonderful and we really had an amazing experience. As a feedback I would like to say that everything was good and well arranged specially people at Barefoot Restaurant and Bar. Scuba diving was also good and you would be happy to know that finally 12 out of 13 went for diving including me.!! !